An overload of work, combined with the sheer overwhelm of ‘letting things go’ during the overload, resulted in a paralysis of sorts. Then spring temperatures arrived and the daylight lengthened – and a dear friend said “send me some pictures” when I told her I wanted to spend time in the garden. She knew what she was doing. I required the prompt to recall that I have cameras for just that purpose – to take photos. 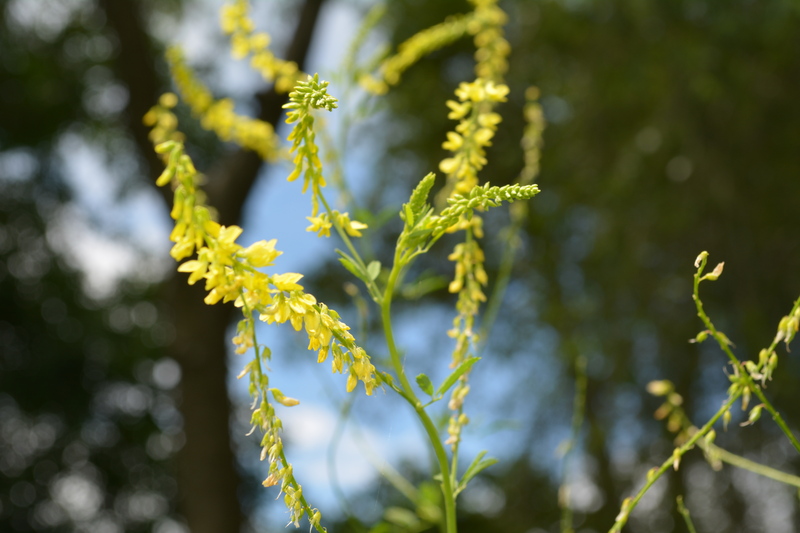 Here’s what’s happening in the garden, sans any human intervention for the past nine months. Vacation and preparation for vacation consumed my attention, as did the pre and post work weeks. Arrival at home was a welcome scene as our cat bounded from lap to lap enjoying the sorely missed human contact. Then came reality – jungle style. Our lawn and gardens had thrived beyond our imagination during the eight days that we were absent. 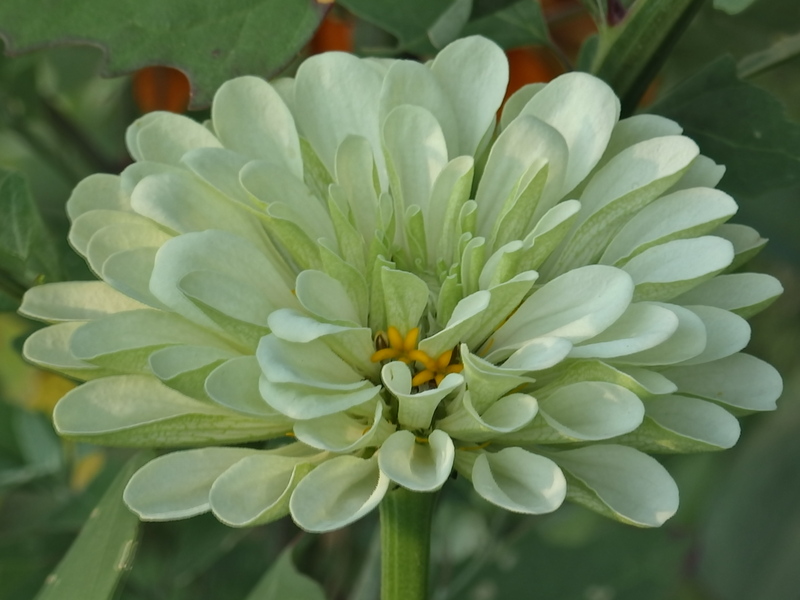 Today, finally, I was able to conquer the gardens, spending time placing boundaries and limits on my crop of weeds and tending carefully to the new starts of volunteer beans, tomatoes and flowers. 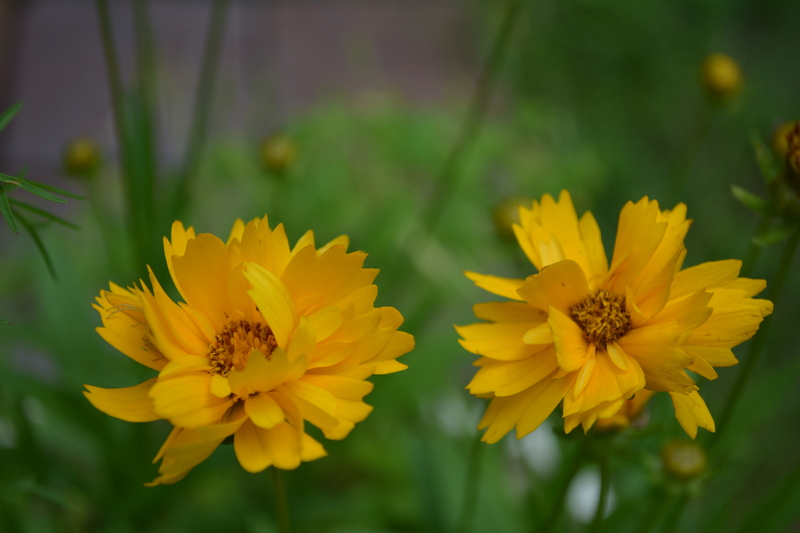 Established coreopsis has quadrupled with seeds scattered during the fall. 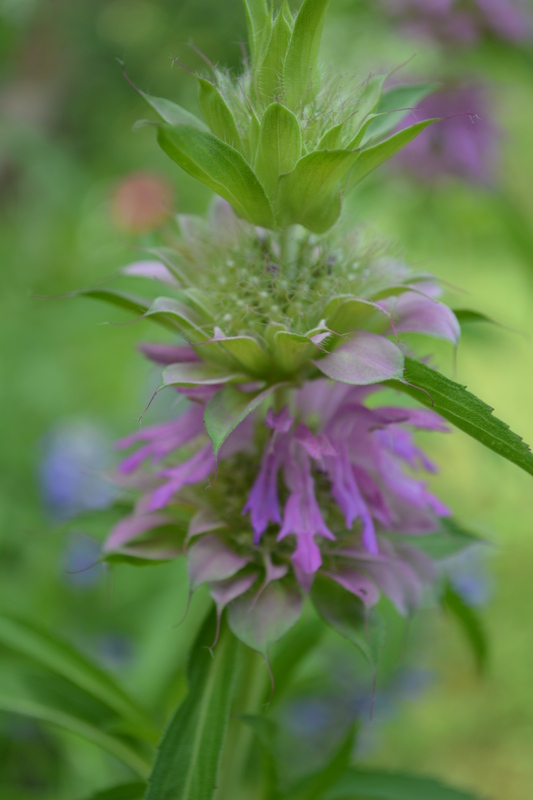 Horsemint, a new introduction, has thrived in the multiple locations it has been placed. 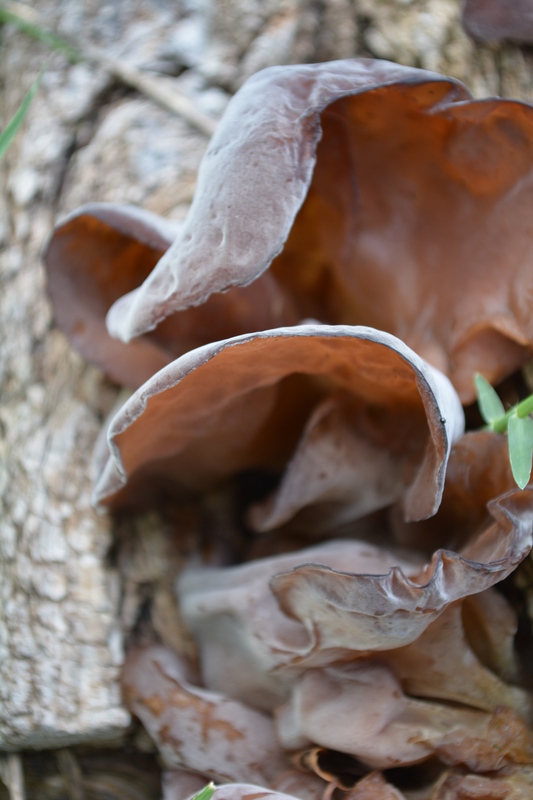 One sweet clover plant was allowed to flourish and it has attained a height of over 6 ft and a spread of at least 4 ft.
Wood ear mushrooms have staked a claim on the rotting log borders in the garden proper. 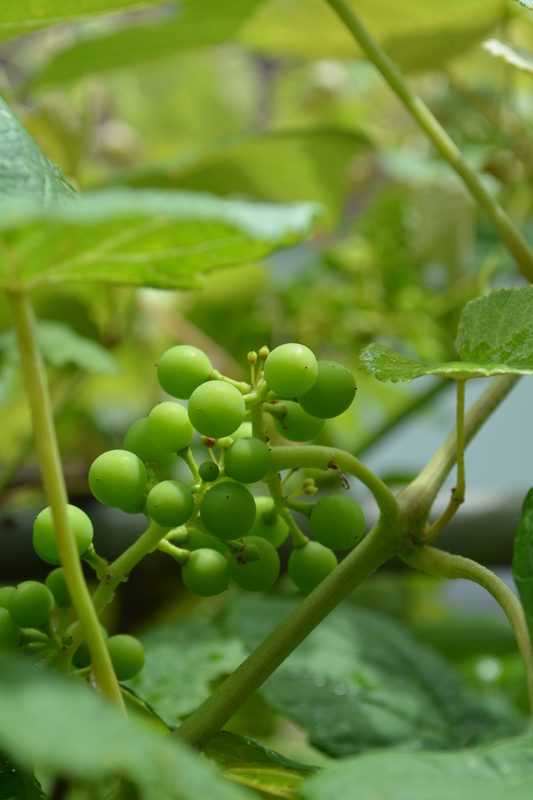 The grape vines have set fruit abundantly, already leaving me guessing at the harvest and sharing season. 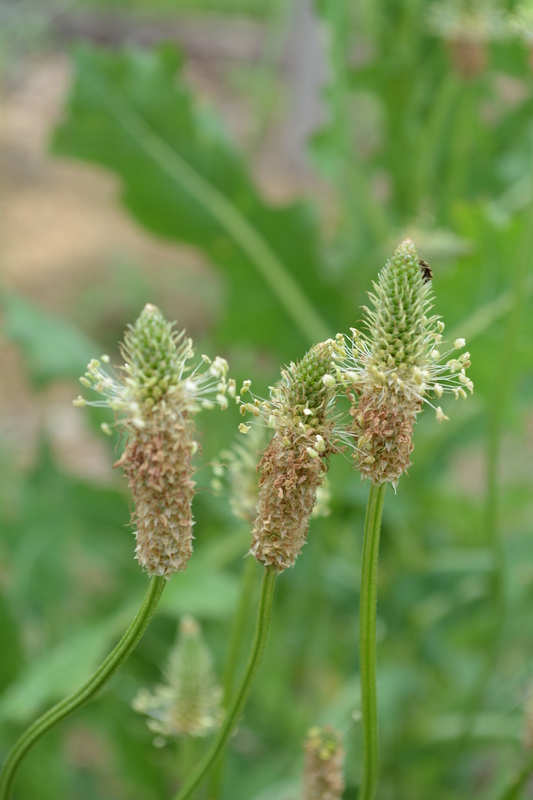 Narrow leaf plantain has established at the garden boundary, allowing it to flower and set seed. 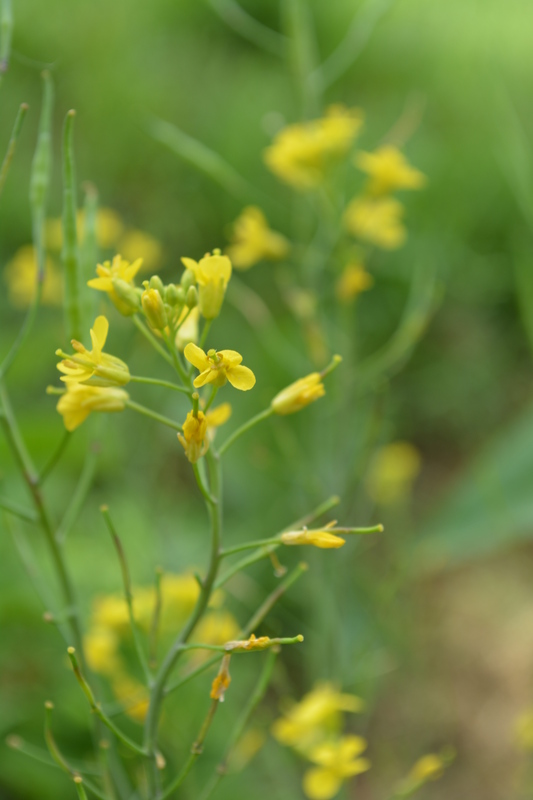 Wild mustard, overseeded from the fall, has established in the pollinator garden. Overall, once the allowed weeds were culled back to an acceptable state, and the volunteer flowers were forced into their proper boundaries, the garden looked quite healthy and tidy – as tidy as a mish-mash of weeds, herbs, flowers, fruits and vegetables might look. I’m claiming success, although the season is quite early. There are not large productions of any one thing (except grapes), but just enough of this and that to provide for our household. Better yet, it seems to be sufficient for the large variety of natural critters that have taken up residence. A butterfly garden. The visitors are many, and busy, busy, busy! As I had hoped, the garden has attracted a plethora of insect life. Good, bad and ugly have all made their appearance, and while a balance is not yet established, I hope to see it forming next year. 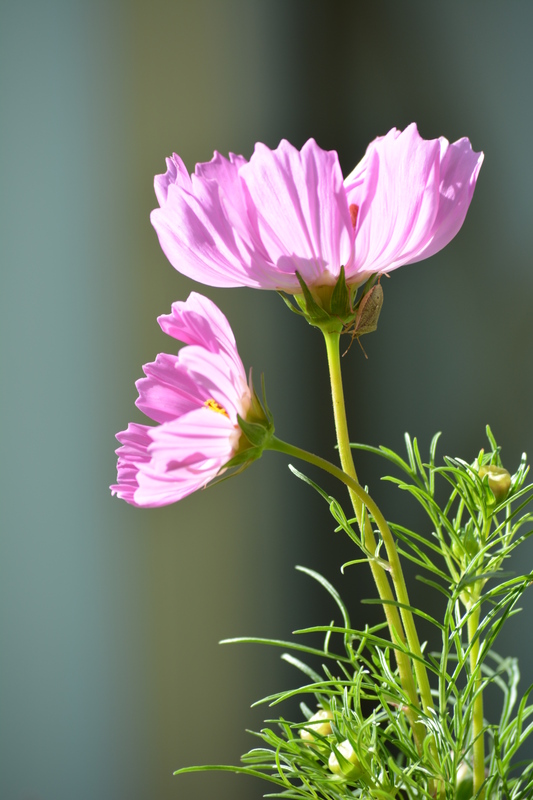 My focus has been on reproduction and on beneficial plants. 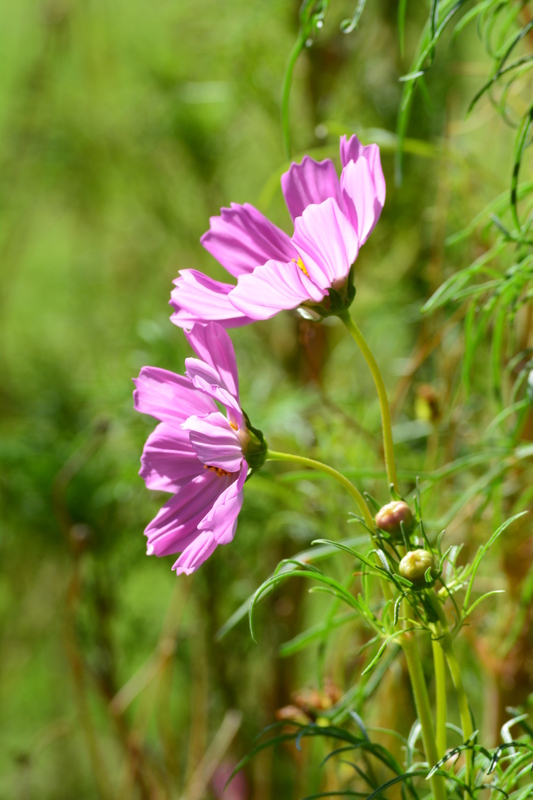 Beneficial used in dual form, both as companion plantings and as beneficial insect drawing plants. What I’ve discovered by observation is that the pesky over population of flea beetles are ever so happily munching my assertively wild scattered false nettle weeds. 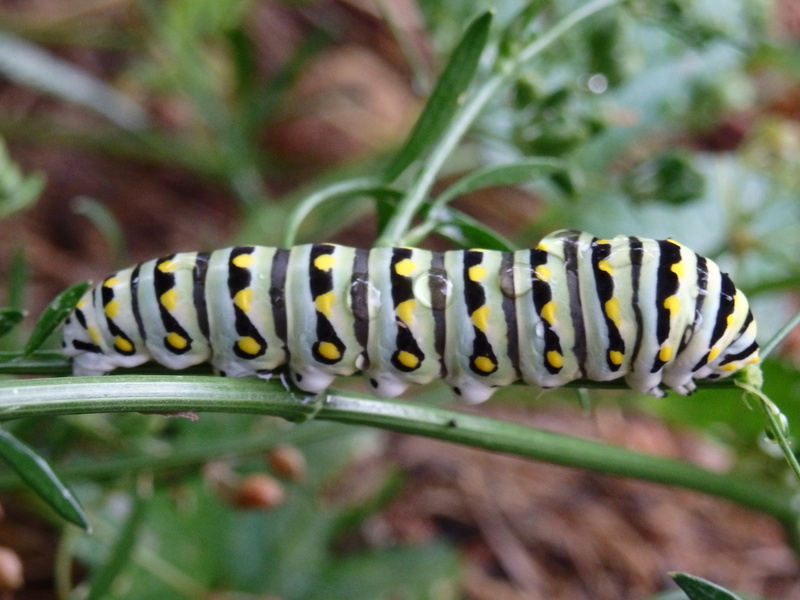 To my delight, the Eastern Tiger Swallowtail and the Black Swallowtail have taken up residence here and I’ve watched four separate batches of caterpillars munch their way through my dill, parsley and carrots – only to morph into their beautiful adult form and stock nectar from the Mexican Torch Sunflowers and Giant Zinnias before they take flight. The caterpillars are zealous in their feeding habits, but leave enough of the plant for a full and speedy regrowth – a self-generating cycle of plant and food. New insects have shown in force: grasshoppers, followed by soldier beetles (whose larvae feeds on caterpillar larvae); squash bugs, followed by the feather footed fly, which lays parasitic eggs on squash bugs. 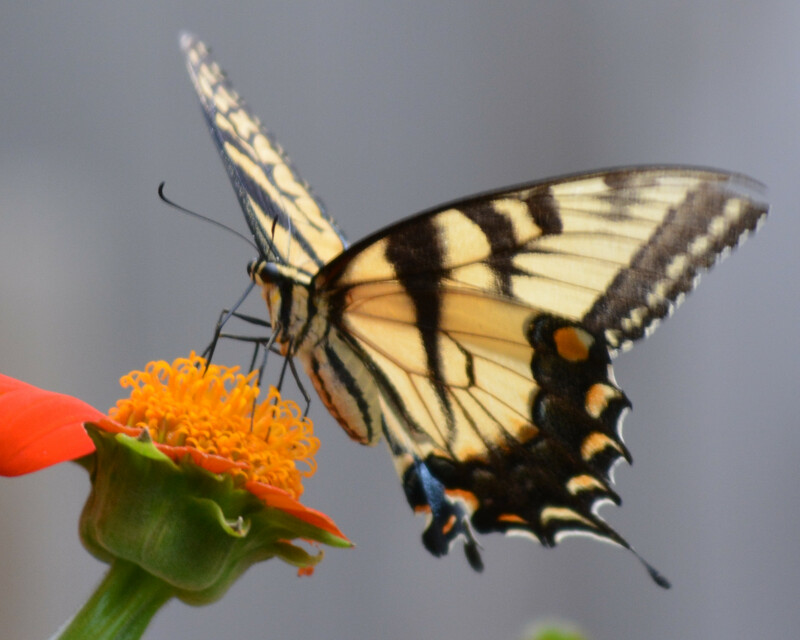 Lace wings, lady bugs, katydids, parasitic wasps, syrphid flies, blue winged wasps, robber flies, damsel flies, dragon flies, spiders, beetles of all sorts and bees of all sorts all visit regularly. It’s a happily buzzing space when the sun is shining! The health of the garden was evidenced by the sad but stalwart four corn stalks that survived germination. Three of the four stalks cross pollinated, to produce five ears of corn. 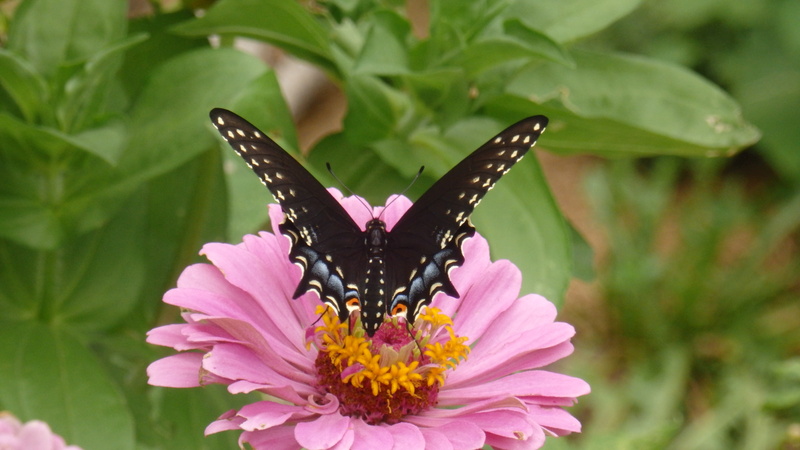 Our pollinators are rock stars, and they are abundant! My next observation will be next spring – to see what grows of itself. I am allowing ( and helping) seed for every herb and vegetable to scatter in the garden. I’ll lightly mulch for the winter, then do a one inch deep raking of the soil in early spring. I’m interested to see how many items survive the cold, to grow hardy starts next year.